Help from the Underground: Canberra’s ‘Coolest’ Fundraising event. UPDATED (WED 07.30am): click here to see video, photos and a quick wrap-up of this amazing event. Tomorrow (Tuesday 19 June 2012) Clinton Hutchinson of Zoo Advertising is hosting an unusual event aimed at highlighting the plight of Canberra’s less fortunate. While we at The Canberran may be more attuned to gala fashion launches featuring self-promotion, career advancement and endless bubbly, this time the intention is to be a little more outward looking. 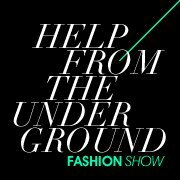 Help from the Underground takes place in the basement underneath Zoo Advertising. What we love is that all models will be wearing at least one piece from Vinnies’ stores, and that a bunch of Canberra businesses, fashionistas, musicians and hip hop dancers are holding a major charity event to raise money for, and awareness of, homelessness in the ACT (all money raised from the ‘Help from the Underground’ fashion show will be donated to Vinnies as part of the 2012 CEO Sleepout). This will be a great event, however please RSVP via the online form available from this link. It’s free with warm soup available for $5 just in case you get a little chilly. Obviously the idea is to raise funds, so dip your hand in your pocket and see if we can’t raise a bucketload for those forced to sleep rough. Congratulations to all those involved with this wonderful cause. Perhaps getting out into the cold is the hottest ticket in town.